A Nigerian behind thousands of online scams around the world has been arrested in the southern oil city of Port Harcourt, Interpol alleges. The 40-year-old man, known only as "Mike" is alleged to head a network of 40 individuals behind global scams worth more than $60m (£45m). His operations involved using malware to take over systems to compromise emails, as well as romance scams. Nigeria's anti-fraud agency was also involved in the arrest. 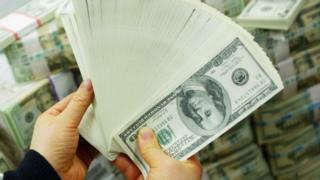 "In one case, a target was conned into paying out $15.4 m (£11m)," Interpol said in a statement. They are considered something of a joke by most of the millions of people who receive scam emails in their inbox every day - but they only have to be believed by a tiny percentage of people. The numbers quickly add up, and the money which can be made by the online criminals is considerable. In recent years the scam campaigns have become more malicious, involving hijacking someone's PC or luring naive internet users into believing they have found love online with the aim of emptying their bank accounts. Although there is a thriving cottage industry of fraudsters in Nigeria, the reality is that scammers are based in every country. Wherever criminals see an opportunity to make money, they will. And they know that if they are careful in how they use the internet, they can cover their tracks and reduce their chances of identification. "Mike" also allegedly ran a money laundering network in China, Europe and the US. "The network compromised email accounts of small to medium-sized businesses around the world including in Australia, Canada, India, Malaysia, Romania, South Africa, Thailand and the United States," it said. They would then send fake messages to buyers with instructions to make a payment to a bank account under their control. The other strategy they used was to take over the email account of a high-level executive and give instructions to transfer money into a bank account they controlled. The suspect and an accomplice, who was also arrested in the city, face charges including hacking, conspiracy and obtaining money under false pretences. They are currently out on bail as investigations continue, the statement said.